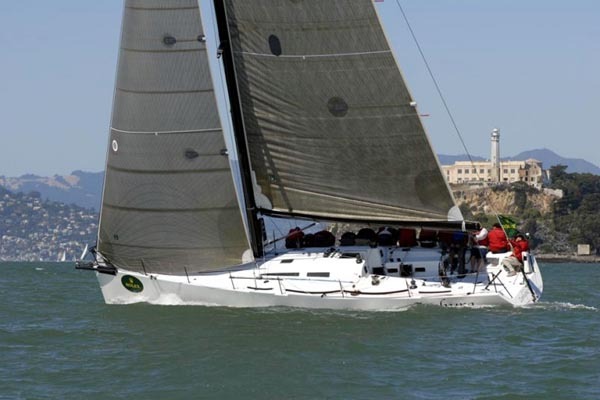 46′ IRC Cruser/Racer has brought performance and comfort together by winning on 6 continents. 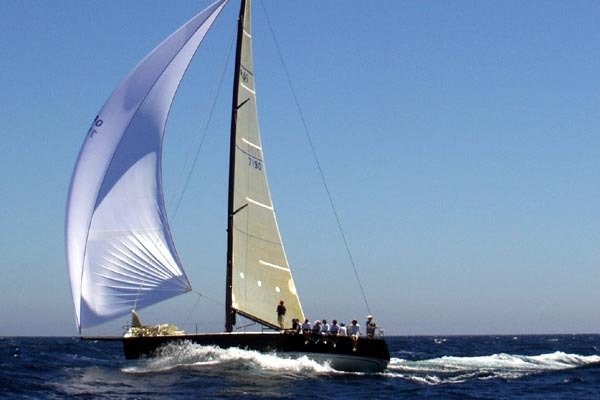 Mills Design and DK Yachts teamed up in 2002 to produce a production IRC design which delivered new levels of performance and comfort. 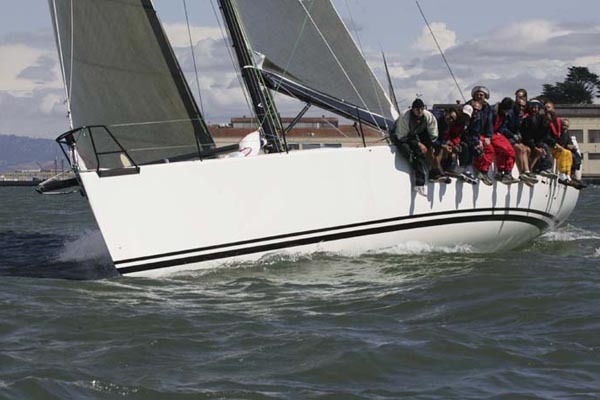 Marketed by Boat Sales International, the DK46 brought together three design criteria to achieve the highest performance IRC cruiser/racer: a hull and foils optimised for racing; a specification which will provide a competitive IRC rating; and a spacious and comfortable interior. The result was a genuinely dual-purpose yacht. 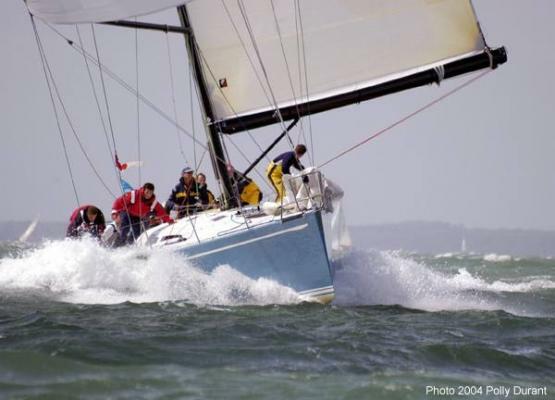 The first DK 46 “Erivale”, was launched in late 2003 for a UK owner, who went out and won his first five races across a range of conditions, beating Swan 45’s, Corel 45’s, and Ker 11.3’s among others in Solent Winter Series Racing and the HWS Charity Pursuit Race. This performance was a promising start to her career as a true dual-purpose Racer/Cruiser, boasting an exceptional interior, a no-compromise deck layout with seats and coamings for more relaxed sailing, and a unique combination of quality construction and attractive pricing made possible by the the competitive location of high-tech builder DK Yachts in Malaysia. 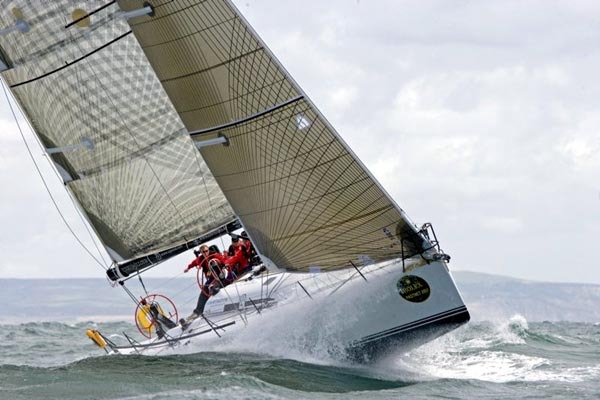 These features ensured the DK 46 had global appeal: of the 12 built for example hull 2 ‘Drumstick’ went to Hong Kong, 3 ‘Fidessa Fastwave’ to the UK, hull 4 Zephyra won the Rolex Big Boat Series in San Francisco, and hull 5 Dekadence is in Melbourne. The DK46 hull shape is geared to perform through a wide range of conditions, balancing light airs pace with the need for speed in a breeze and reaching. The central design theme is reducing resistance both through reduced wetted surface area and wave-making drag, separating out the stability requirements to be met by the large ballast package and deep fin. With increased rule support for aft-swept spreaders and non-overlapping rigs, the preferred rig solution is a tall carbon two spreader fractional rig with halyards for both masthead and fractional spinnakers. Rig dimensions have been carefully adjusted to balance aspect ratios and areas avoiding any weakness in light conditions. Off wind the masthead spinnakers on over-length poles set new levels of performance in all conditions. This simple rig configuration promotes a clean and optimised deck layout, featuring contoured seats and coamings in the cockpit, ensuring relaxed comfort while cruising with no impedance to efficient racing. 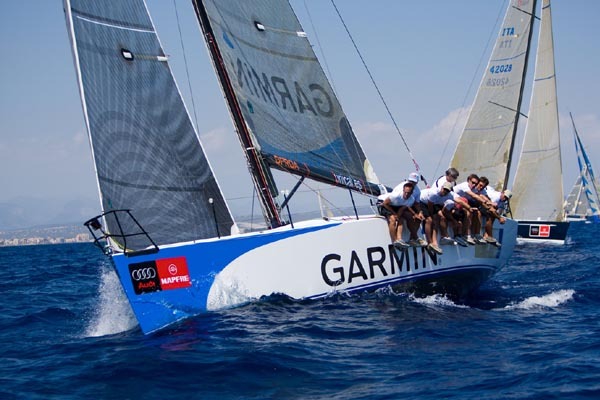 Driven by twin carbon wheels, placed well outboard for maximum visibility, the driver is close to his mainsheet and tactical hands. Underdeck mainsheet and traveller leads maintain a tidy and snag-free working area, and helps bring all the major adjustments to the main trimmer. Stability is provided by the SG iron fin and large lead bulb, while the carbon rudder and stock ensure accurate responses and sensitive control. In conjunction with Mark Tucker of Design Unlimited we created an interior that reflects the dual purpose nature of the yacht: the galley and navigation area use the full length of the starboard side of the saloon,with a comfortable, horseshoe shaped settee to port. 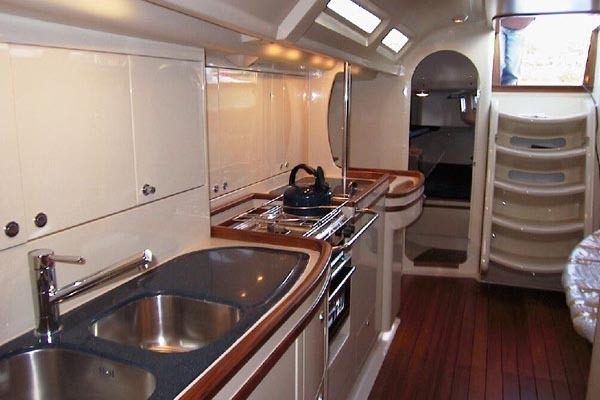 The spacious and light saloon utilises the full width of the central hull, while leaving an open central path for access to sails when racing. Forward of the mast is a double berth cabin with adjacent head and hanging lockers. 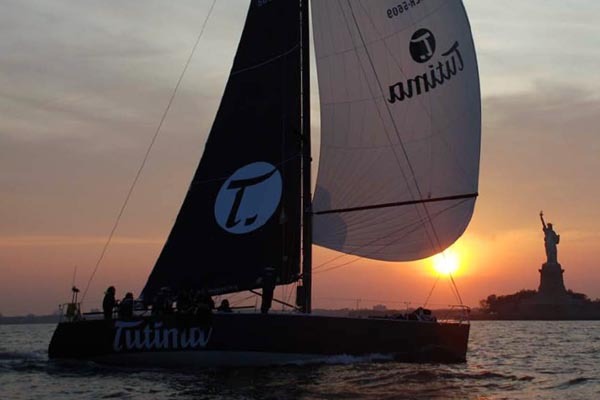 Aft of the companionway are either two double berth cabins, a combination of one double berth cabin to port and a double pipecot cabin to starboard, or an all pipecot layout for the committed racing owner. Modern styling and finishes make this yacht stand out from its competitors: a selection of interior finishes and furnishings have been carefully coordinated to compliment each other and reflect the refined approach of the builder. This design allows us to display the full range of technical sophistication which Mills Design with engineer FCS and DK Yachts have developed. John Fox of FCS has a long background in production building in the US, which makes him very popular with builders, such as DK and Aerodyne for whom he has supplied complete engineering, along with his modelling and rendering skills using Solidworks. The DK46 is the best example of our ‘distributed development’ model of collaborative work methods in practice, uniting Mills Design in Europe, FCS in the US, and DK in Malaysia, one of the most technologically advanced builders in the industry with a dedicated drawing office, 8 station IBM Catia drafting suite, all outputting to a 25m 5 axis milling machine. For the DK46 project they required components to be delivered fully modelled, complete with rebates and flanges ready for assembly. FCS have been a leader in this sort of work, and DK were extremely impressed with what they received, comprising 48 separate parts including the structural IGU molding which they felt was the most complex single part they have milled yet for one of the first sailboats anywhere to be completely designed, engineered, and have molds built directly from 3-d modelling software. Added to this is the multinational element of a European designer working hand in hand with a specialist composites engineer in the US, for delivery to a builder in Malaysia, in what turned out to be a very successful set of relationships – one that confirms that the future of the industry is to be less geographically constrained in order to build the best boats wherever and however that may be. The DK46: A refined synthesis of speed and comfort. True cruiser/racer performance without compromise.